Conversation Café | Conversations that Matter! Resources on this DIY dialogue process. 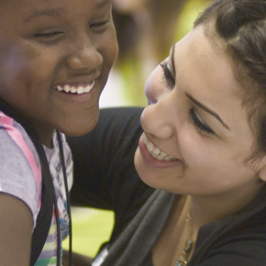 Learn about how Conversation Café came to be. Hosting is simple—like breathing is simple. It can be as minimal as showing up, introducing the process and keeping time. Yet the practice of hosting can be very profound. It is a dynamic, honest, humble process of staying present to your own reality while drinking in the reality of everyone else at the table. 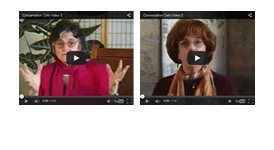 This collection of videos hosted by Conversation Café founders, Vicki Robins and Susan Partnow, provide an overview of the essence of our dialogue process. Watching these videos will provide you with an in-depth understanding of the Conversation Café method. Conversation Cafés were designed as a gift to the world. 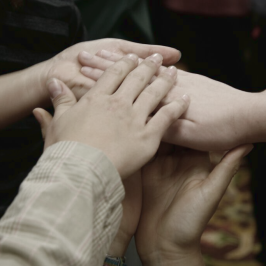 The hope was that this method and conversations using the CC method would spread “with integrity and fidelity”—stay both true to form, yet give hosts the maximum freedom to adapt it to their situation. Susan Partnow, Habib Rose & Vicki Robin believed that spontaneous dialogue would serve democracy, critical thinking & neighborliness. So each sat in a different café once a week & invited whoever was there to dialogue about things that really mattered. Check out what's happening in the community! Conversation Cafés are open, hosted conversations in cafés as well as conferences and classrooms—anywhere people gather to make sense of our world. At a Conversation Café there is nothing to join, no homework, no agenda, just a simple process that helps to shift us from small talk to BIG talk, conversations that matter. Hosts are key to successful Conversation Cafés and we are here to make hosting easy, rewarding, and fun for you. Just starting out? Get oriented! You can learn the basics by watching the video, or reading the hosting manual. 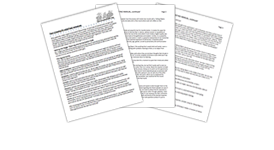 Ready to host and need some resources? You can download everything you need, find stimulating questions, and learn to frame questions powerfully. 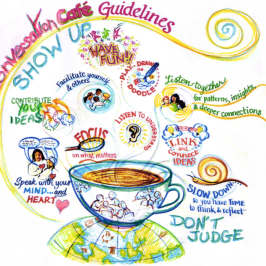 We have suggestions to help you promote your Conversation Café. Variations and Applications: Discover ways to adapt to shorter times or larger groups, as well as blending with a World Café design. Consider ways to bring Conversation Café to your workplace, organization, event, conference or community. Curious what hosting is all about? Read on!